We bring you an exciting new development paving the way for astute investors to make real financial returns in the heart of Midnapore, Calgary. Alture MidCity is a low rise apartment complex offering amazing value at a phenomenal location close to transit, shops, schools and restaurants. 10/22 We’re out of the Hole now! 11/2 Exciting announcement coming soon! With pre-sales starting in Summer 2013, please VIP Register or contact our sales office for more information. Located in Calgary, Alture MidCity is a three-story apartment complex offering value at an unbeatable location. With pre-sales starting in Summer 2013, Alture MidCity is expected to attract tenants that are professionals, young couples, and families with small children. 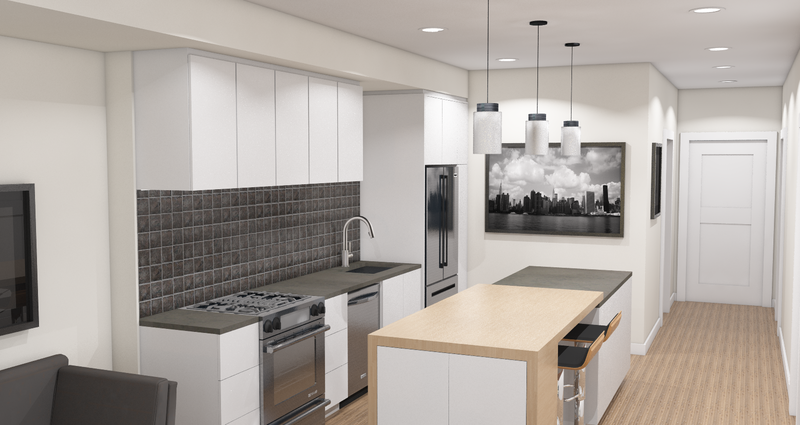 Alture MidCity is situated close to grocery and retail stores, restaurants, bike trails and parks, and is within walking distance to Shawnessy and Lacombe LRT stations. Walkscore: 77 – A property’s “walkability” has become increasingly important for both Investors and Home Buyers as it helps determine value retention and future demand. 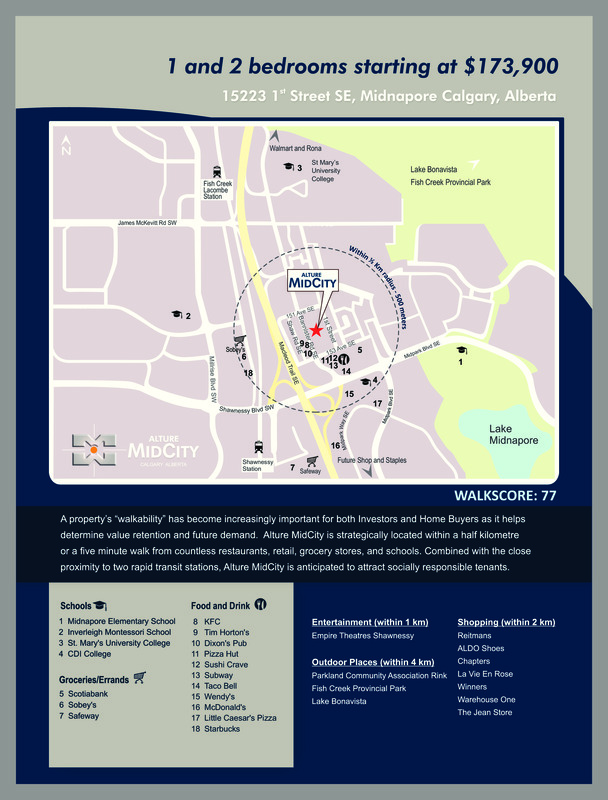 Alture MidCity is strategically located within a half kilometre or a five minute walk from countless restaurants, retail, grocery stores, and schools. Combined with the close proximity to two rapid transit stations, Alture MidCity is anticipated to attract socially responsible tenants.